Burgers are fantastic. Texas is fantastic. 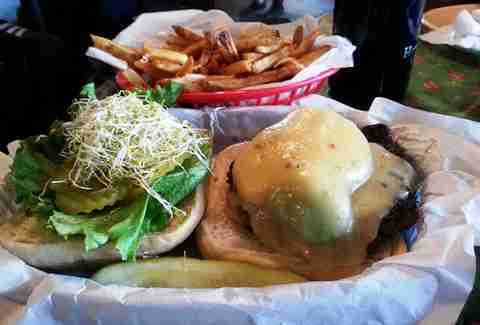 Austin is the fantastic-est place in Texas, ergo, it has some of the best burgers anywhere. 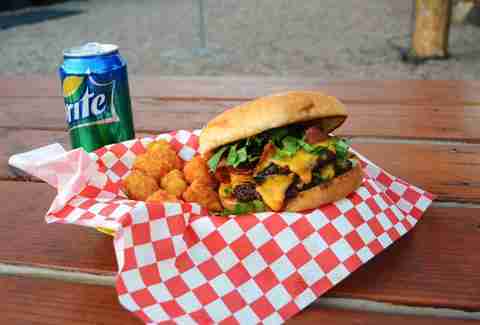 But when you hear people talk about the finest Austin burger creations, spots like Hopdoddy, Casino el Camino, Dan’s, Hut’s, or P. Terry’s tend to come up again and again. And rightly so -- they make some damn fine burgers. But there are others out there, flying under the radar, that are well-worth your attention. Here are 10 you shouldn't miss. 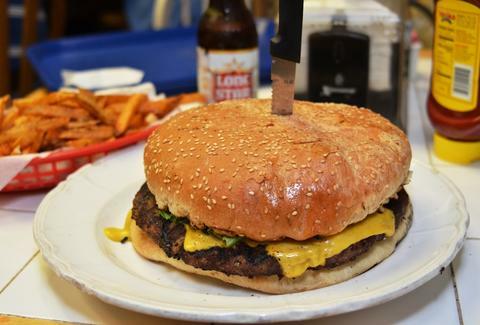 Freddie’s Place is an Austin icon but, surprisingly, their burgers are constantly being overlooked. They are grilling up half-pound, all-natural Black Angus patties and piling on the toppings of your choice. Follow your inner hippie and check out the Nouveau South Austin, topped with a cool scoop of house-made hummus, followed by sliced avocados, sprouts, and melted gooey pepper jack cheese. One bite and it’ll knock off your Birkenstocks. 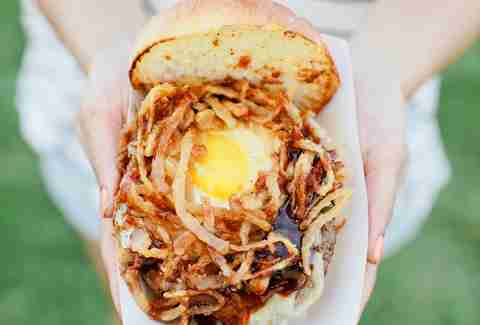 This little food truck on the East Side is grilling up some serious heart stoppers. If you are feeling gluttonous (and since you're reading about burgers on the internet, that seems like a possibility), spring for their Spare Tire burger, a towering stack of two thick fresh-grilled patties, double cheddar, bacon, and fried pickles. A token smattering of lettuce makes it feel quasi-healthy. It’s a convenience store, it’s a bottle shop, and it’s a burger-grilling machine. Wholly Cow is grilling local, all-natural, hormone-free beef. Now, just because they kill their cows with kindness doesn’t mean that these are some lackluster burgers. They are thick, juicy, and piled high with organic produce. As if the meat itself wasn’t flavorful enough, it’s all stacked on sweet King's Hawaiian rolls that give it that perfect hint of sweetness. The newcomer to the city finally opened up after what seemed like a lifetime of construction, but greatness takes time. With one of the most killer rooftop patios on the East Side and an expansive selection of drinks, The Silo on 7th isn’t disappointing with their food, either. 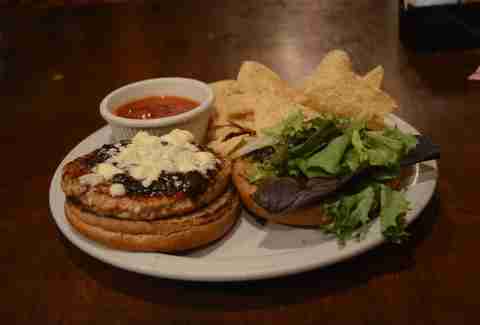 Try the Navasota, which is a pork patty smothered in cheese, aioli, and chipotle sauces. It’s a mix of sweet and spicy that blends together nicely. Compliment it with a crisp IPA and know what it means to be happy. 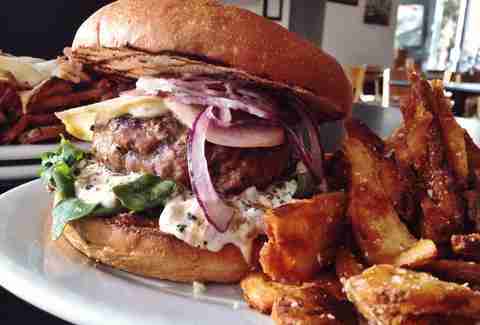 Red’s is known for their great patios and views over the Greenbelt, but their burgers really deserve your attention. 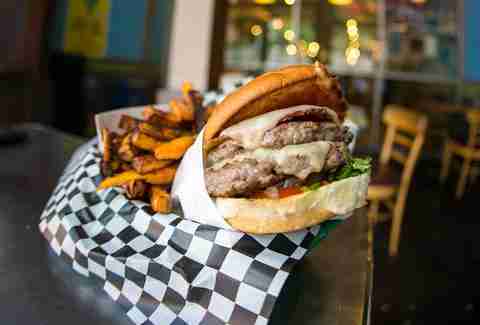 The Smokey Goat is a thick, juicy patty of ground beef (no goat?) 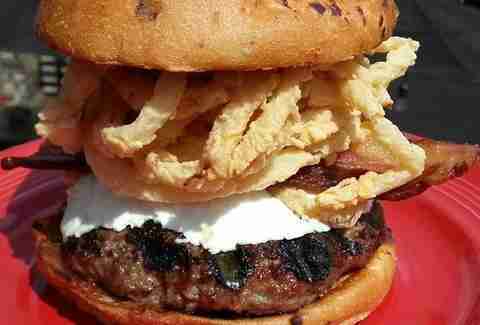 covered with thick, crispy bacon, fried onions, and melted, full-flavored goat cheese (there it is!). After a long hike on the Greenbelt, it’s a fine way to regain your strength. The kitchen at this co-op brewpub does a fine job keeping pace with all the delicious beer. 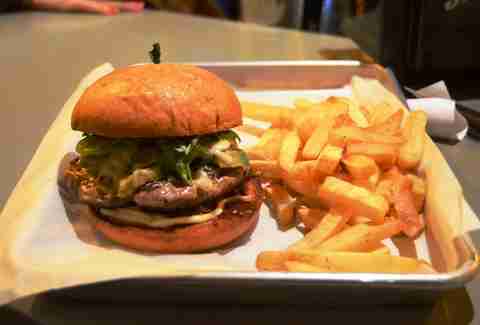 They use locally sourced 44 Farms ground brisket to create a juicer, more flavorful burger that also gets a welcome tang from their house-made mustard. This classic Austin restaurant tries to keep things on the healthy side, but when it comes to burgers, you just have to give in. 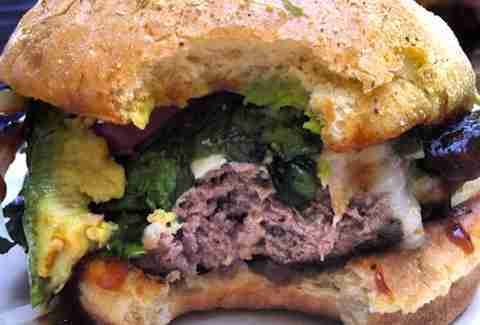 The Black & Blue burger consists of a beef patty topped with melted Gorgonzola cheese, smoky and savory peppercorn sauce, and mixed greens. The only downside to the experience is that Austin Java doesn’t do fries, so you’re going to have to pick between chips and salsa or a side salad (you win this one, health nuts). Before your start your night of drinking, it is always smart to coat your stomach with something that can soak up some booze, and the Peached Tortilla’s Japajam Burger has got your back (and stomach). They grill up a 1/3lb beef patty and cover it with semisweet tomato jam and Japanese BBQ sauce. Top it off with tempura battered onions, a fried egg, and gooey, creamy jalapeño jack cheese and you've got a huge, delicious mess that'll have you ready for anything. This West campus food trailer is doing their part to up the ante on the "freshman 15". Their Juicy Lucy is a cheese-stuffed burger (native to Minnesota) topped with bacon, lettuce, tomatoes, and a creamy chipotle mayo. They pair this delectable mess with bacon-flavored fries just in case your heart was still beating. If you ask nicely and maybe pay a little extra, they can toss some of their chicken fried bacon on it, since you've clearly given up at this point. Uncle Billy’s is known for their award-winning beers, which are brewed in house, and their slow-smoked BBQ, but their burger deserves a little love too. 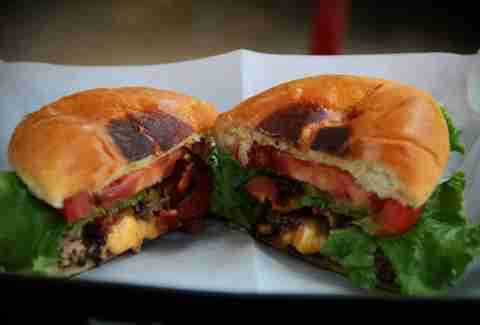 They ground the brisket with bacon to form a patty that is full of smoky flavor. Throw on the usual trimmings and compliment it with their Green Room IPA and every bite will taste like Texas. You only wish your uncle Billy was this cool.